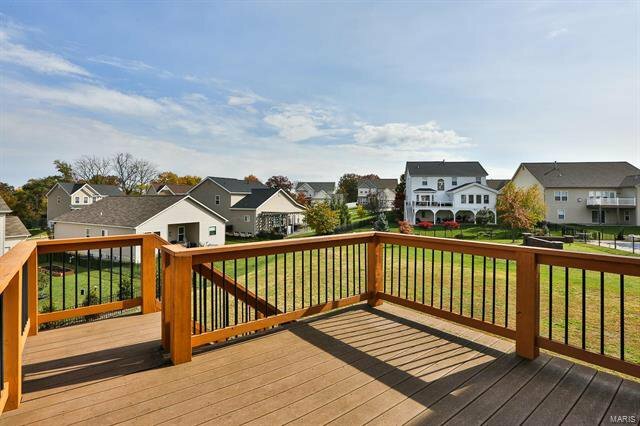 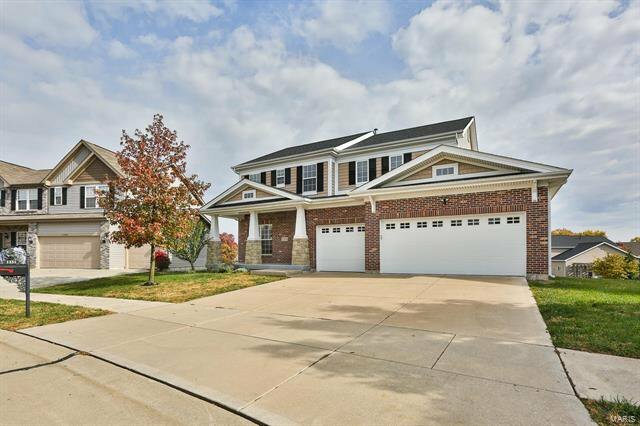 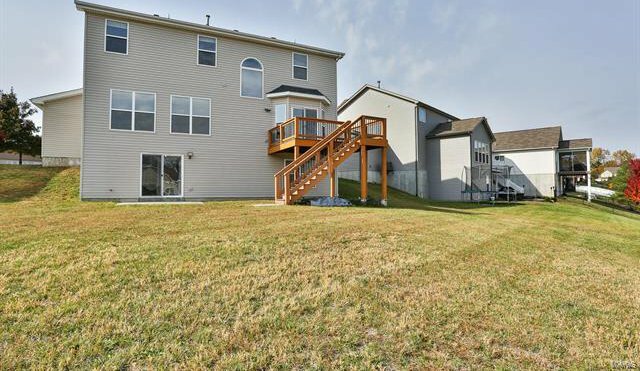 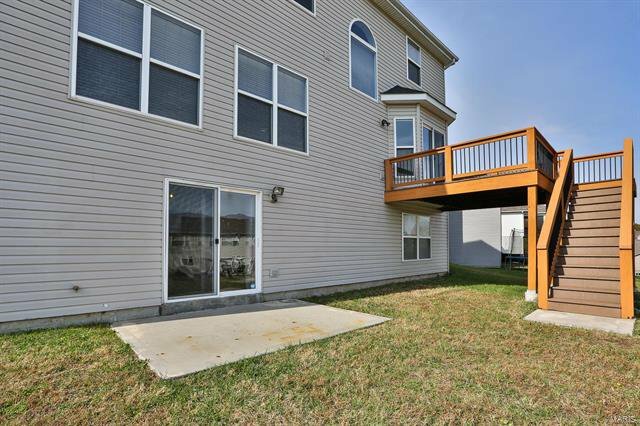 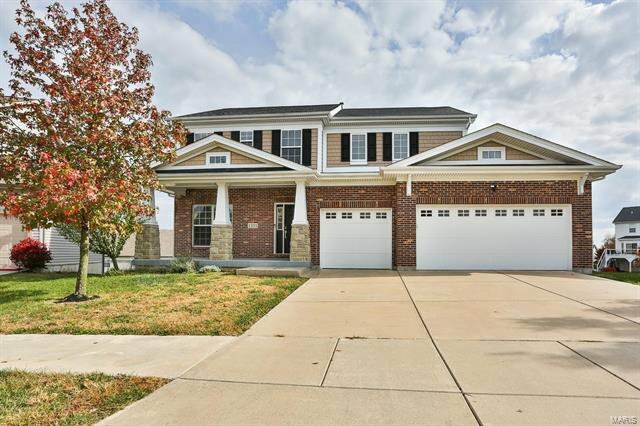 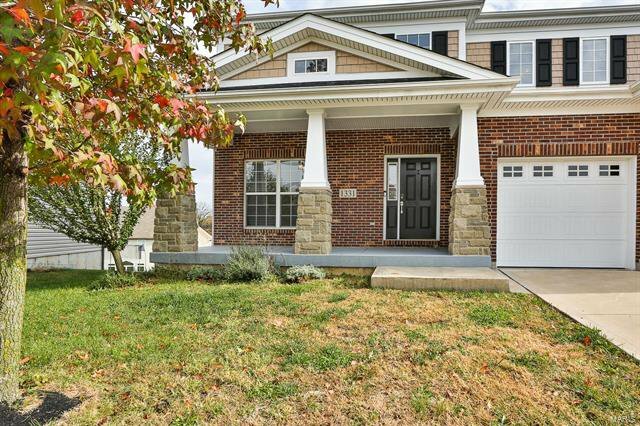 4Bed/2.5Bath two story home shows an amazing amount of beauty. 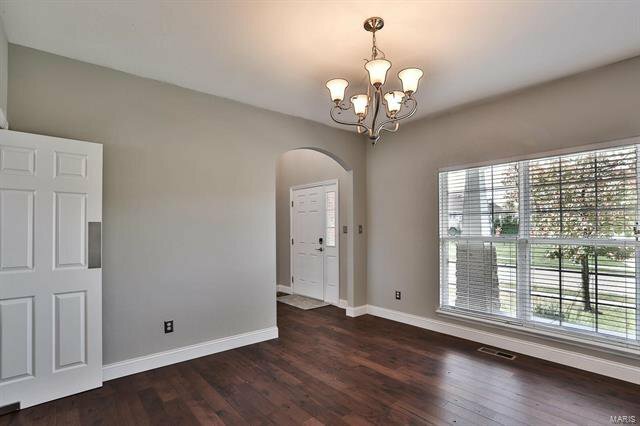 Fantastic open floor plan makes this home perfect for entertaining. 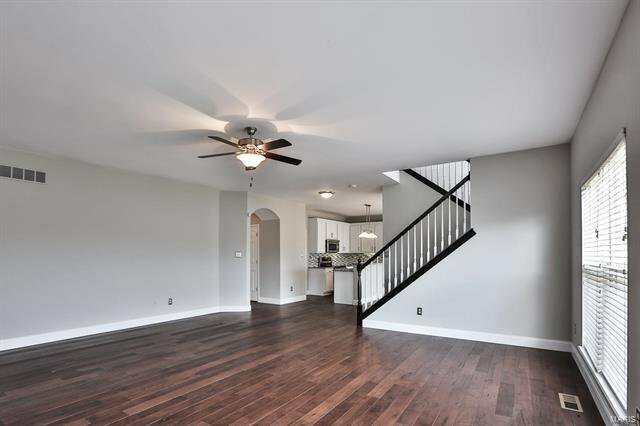 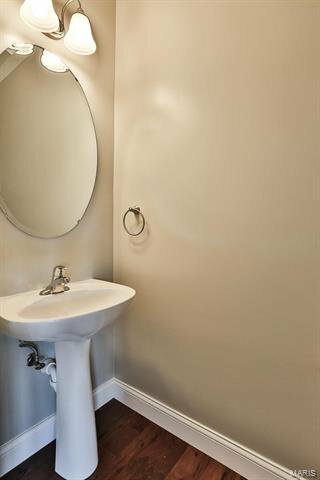 Fresh paint through out & beautiful hardwood flooring graces the Main Level. 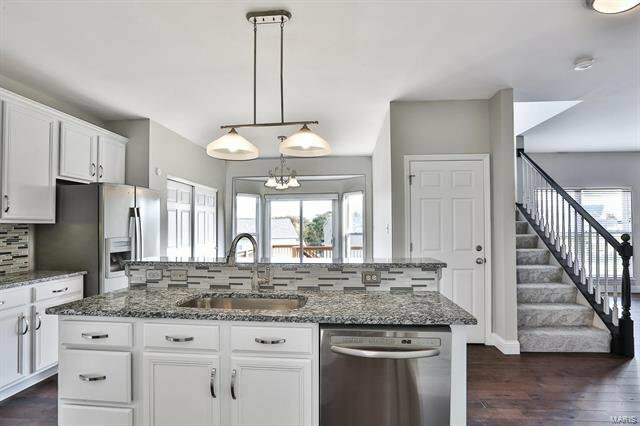 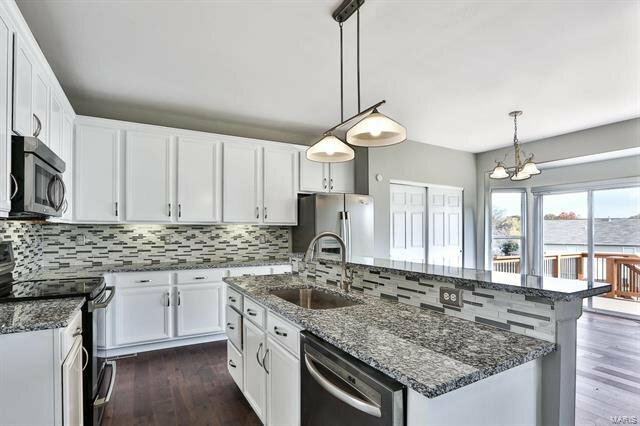 Kitchen reveals stunning granite counter tops w/ matching tile back splash, 41" cabinets w/crown, over sized sink w/disposal & a Breakfast Bar. 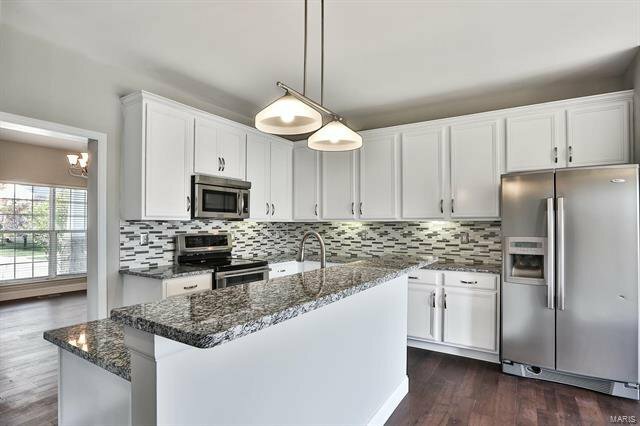 Stainless steel appliances include a smooth top electric range, microwave, dishwasher & side by side refrigerator. 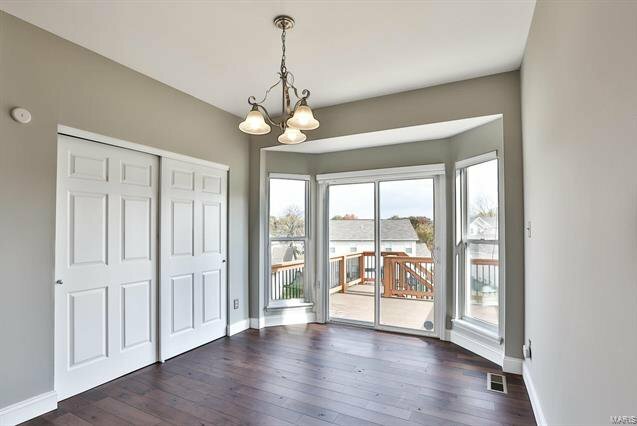 Breakfast Room flaunts an extended double door Pantry & a bay window w/a sliding door that opens to a deck. 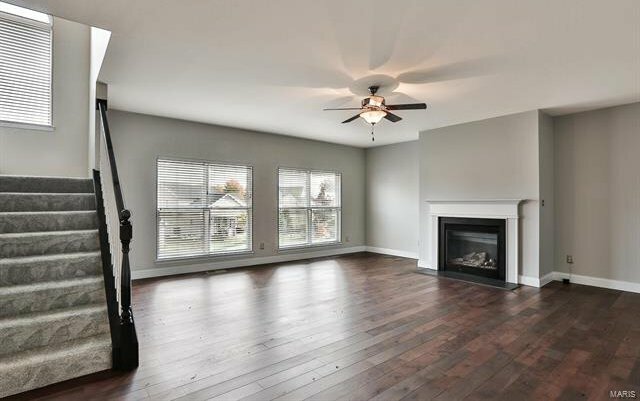 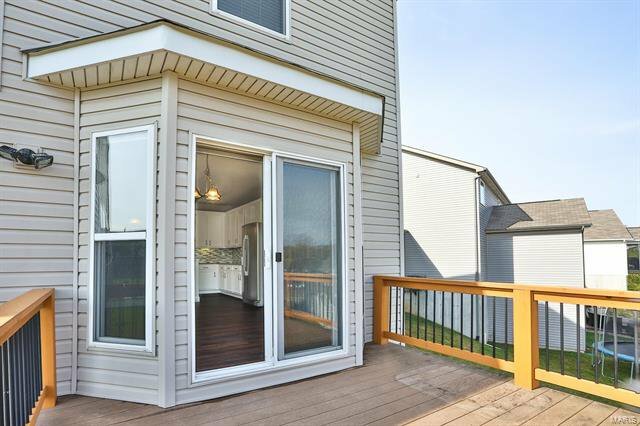 Kitchen flows into the spacious Living Room w/a wall of windows & a gas fireplace. 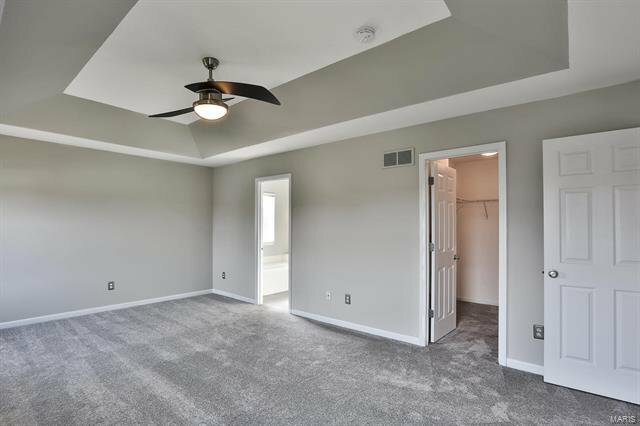 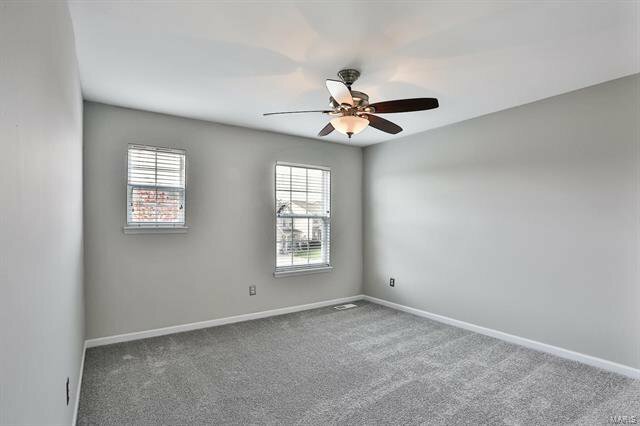 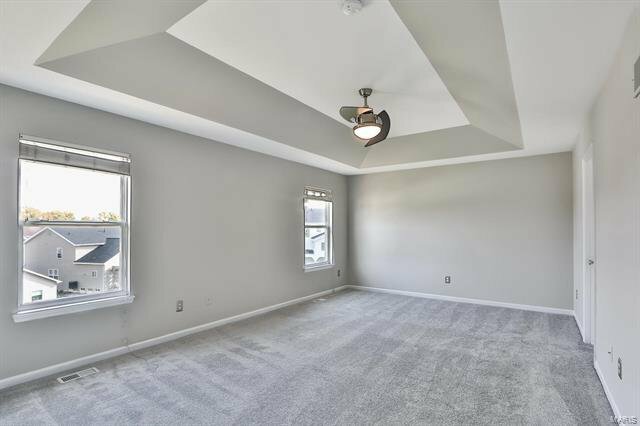 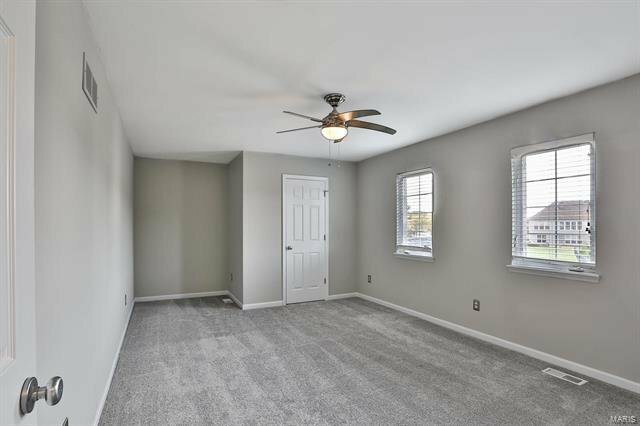 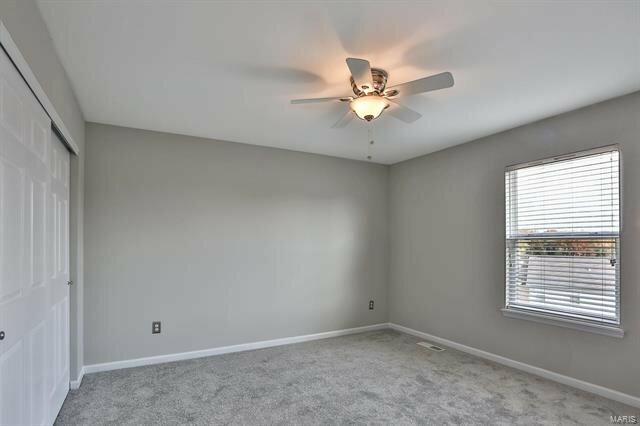 Upper Level Master Bedroom Suite boasts a coffered ceiling w/a lighted ceiling fan, walk-in closet & private Master Bath. 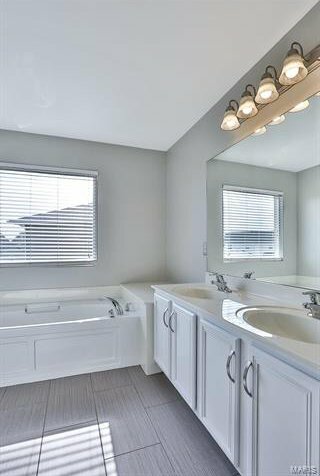 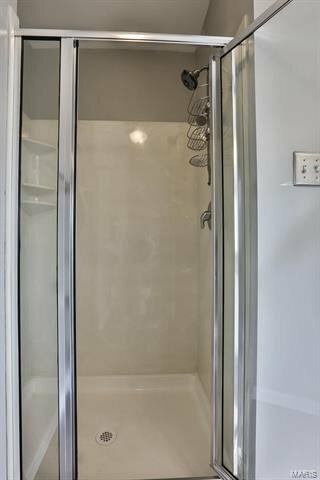 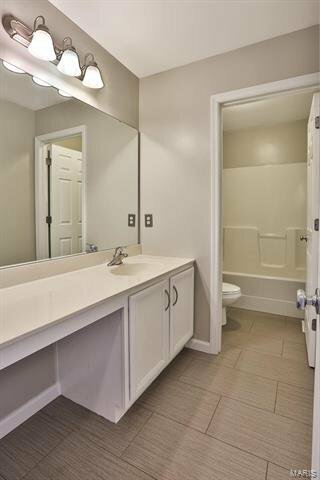 Master Bath displays a soaking tub, dual sink vanity & shower. 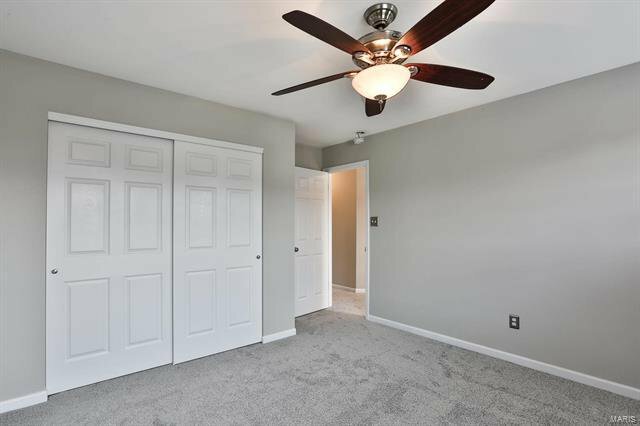 Second & Third Bedrooms entail extended closets. 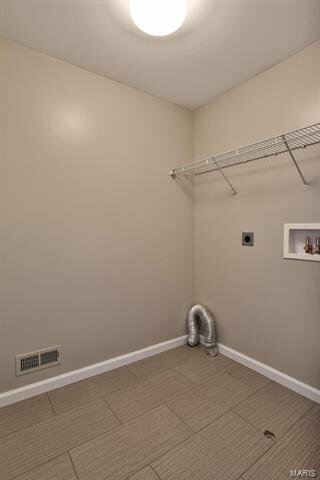 Fourth Bedroom exhibits a walk-in closet. 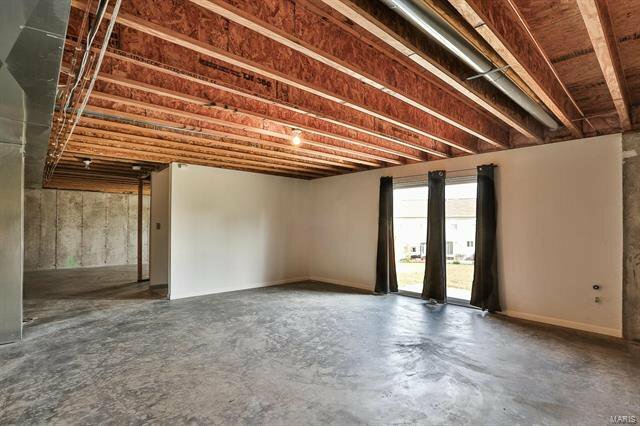 Lower Level claims a rough-in for bath, egress window & walk-out.